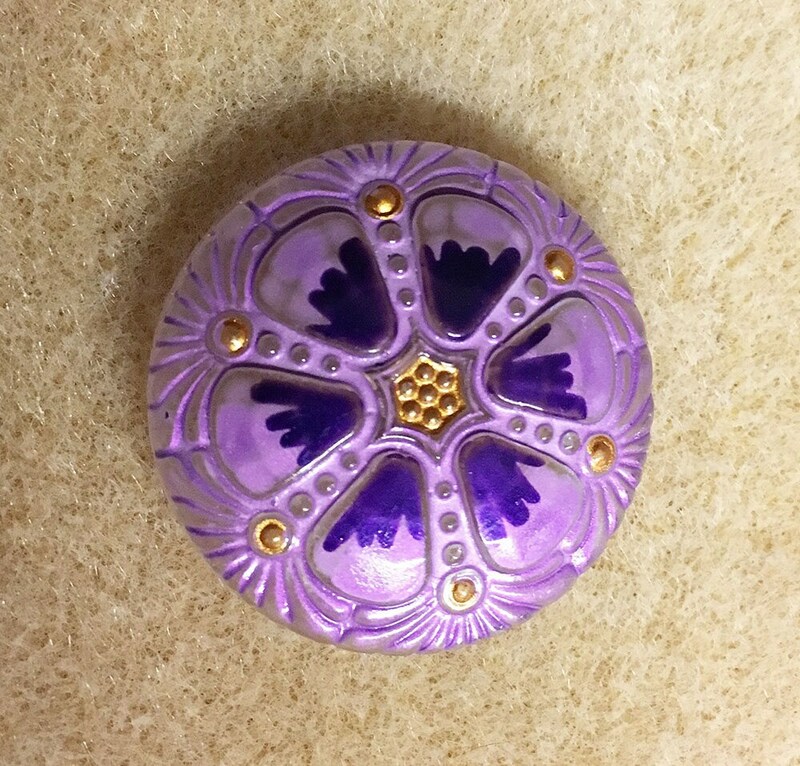 Lilac or lavender Czech glass button has wheel design pattern detailed with dark purple and gold with a metal shank loop on the back. Use in jewelry making for a button closure, as a focal piece, or as a special touch to a hand sewn garment or bag. Size is 27mm. You will receive one very unique button. A true work of art with a vintage style!